Raye is supporting Rita Ora on her UK tour this May. 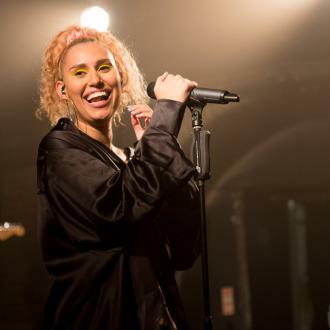 The ‘You Don’t Know Me’ hitmaker teamed up with the blonde beauty on ‘Girls’ with their mutual pal Charli XCX last year at BBC Radio 1’s Big Weekend, and now the girl power duo are set to hit the road together, which Raye says will be ”mental”. She told The Sun newspaper: ”Rita is one of my favourite people in the industry. ”As well as someone I love to work with, she’s become my big sister. Rita, 27, is previously revealed that she has been working on a ”secret” collection exclusively for her fans which they can buy when they come and see her perform. The clothing and accessories line will be called ‘ROARA REPUBLIC’- a play on her own name – and will feature crewneck sweaters, hoodies, t-shirts and hats in a range of gender neutral designs that will be available to buy on her website from March 3. The ‘Body On Me’ hitmaker kicks off her run at O2 Academy Glasgow on May 11, and concludes the UK leg at their sister venue in Bristol, South West England on May 19. The ‘Anywhere’ singer is currently promoting her ‘Fifty Shades Freed’ single, ‘For You’, with Liam Payne, but she has promised fans her new record – which was delayed to a lawsuit with her former label Roc Nation – will be released later this year. Speaking about the much-awaited follow-up to her 2012 debut album,’Ora’, and her shows, Rita teased: ”My tour starts in May, so I’ll be going all around Europe. I have a surprise tour announcement that comes out in the summertime, which I’m very excited to do.